Spring clean! So much newness going on around here! 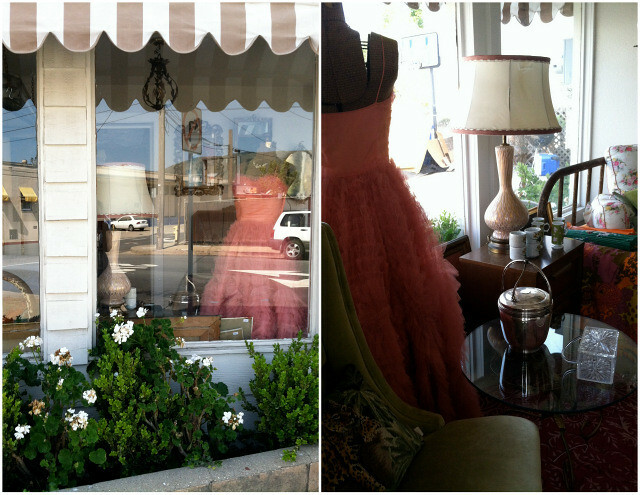 *Inside the front window, this pink vintage prom dress is peeking out! *Dest dressed at the beach! 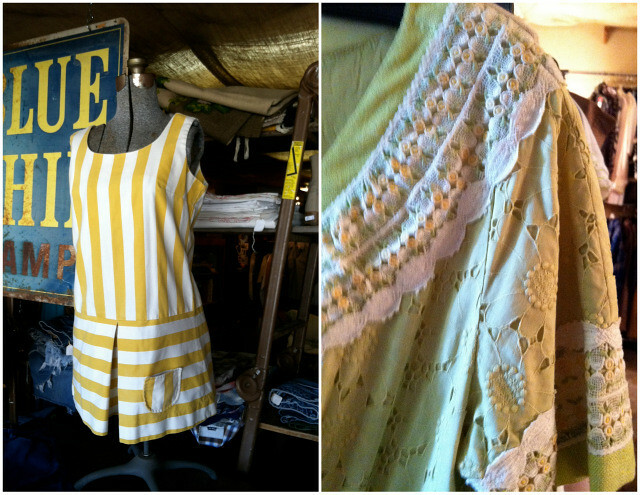 This vintage romper just screams fun! 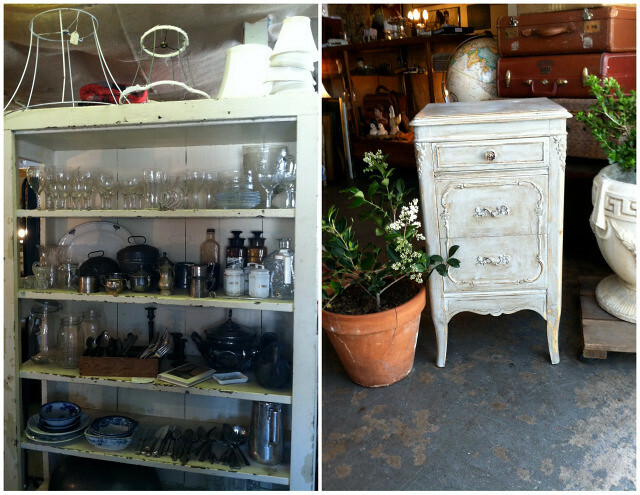 *On these shelves are lots of pretties for outdoor entertaining this spring/summer. 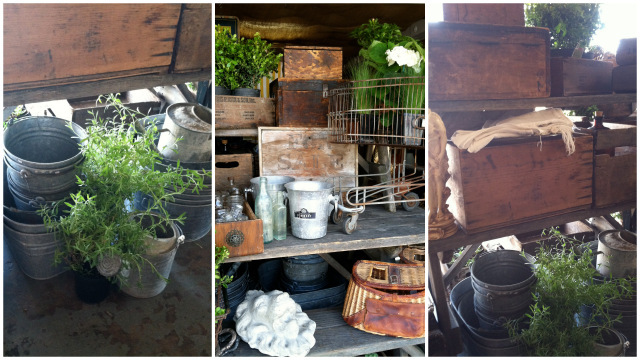 *We have a table stocked with planting essentials--wood boxes, galvanized buckets, tool boxes, and a little cart. 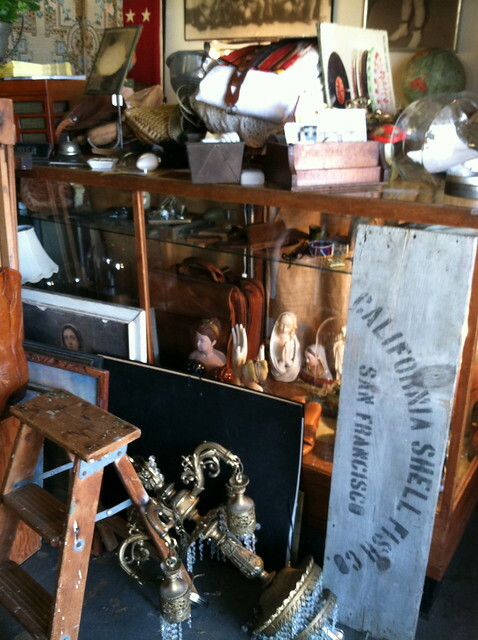 * This counter has been stocked with new inventory coming in. Spring is so fun to shop!